bindsym $mod+d exec "rofi -combi-modi window,drun -show combi"
alias mat="/opt/MATLAB/R2016a/bin/matlab -softwareopengl -nodesktop -nosplash"
To to determine linearity in the logit for a continuous variable, one can use lowess smoothed scatterplot as described in Applied Logistic Regression, 3rd Edition, in chapter 4.2.1 Methods to Examine the Scale of a Continuous Covariate in the Logit. 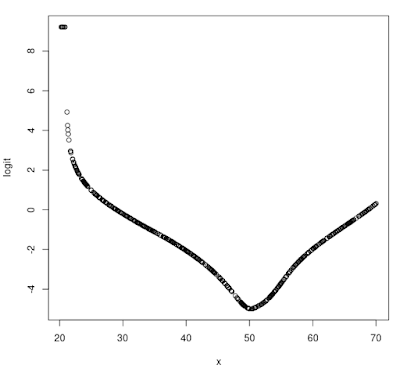 In the book this is illustrated using Scale_Example data from the book and STATA. I dont have stata, but this can be replicated with a good agreement in R.
For this, I will use logitloess function described here. The resulting plot is very similar to the one provided in the book (Figure 4.1). Its not exactly same, but this could be due to differences in the implementation of the logitloess methods between R and STATA. 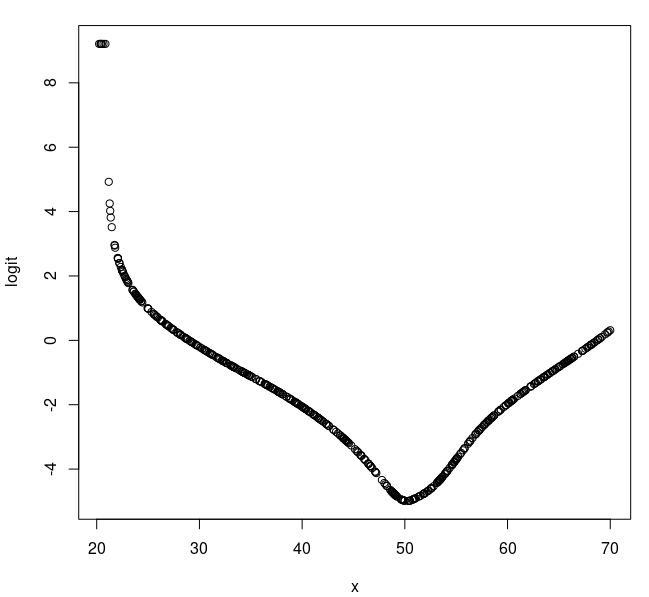 Nevertheless, the conclusions from the plot obtained in R are same as those in the book. This fixes the freezes, although the plots can't be still seen.